When times are good, don’t get caught up in thinking it’ll be that way forever. At some point, you may want to turn on your alerts just so you don’t get caught unawares. And in the markets, those alerts could come in the form of chart patterns. Have you ever looked at a chart and thought to yourself that something just isn’t right? Perhaps it’s looking too toppy, or maybe its behavior has changed, or maybe you see a classic topping pattern begin to appear. And then it happens… the fear factor… you’re now moving into the domain of the chart pattern nerd. Hey, you know what? There are worse things to fear. So, take a page out of the chartists’ book and give charts a chance. 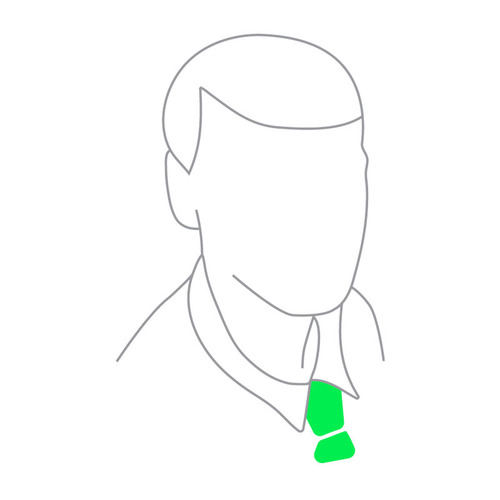 There’re many chart patterns that identify a topping pattern such as head and shoulders, triple tops, or double tops. We’ll focus our attention on the double top and see how it may have alerted you to a possible top. 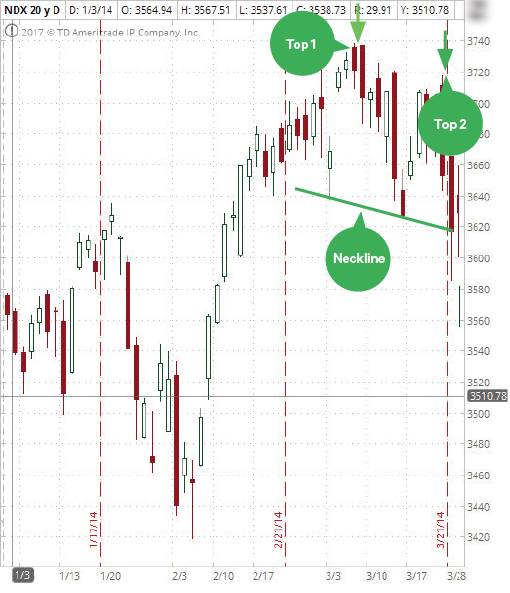 A double top is a bearish pattern, and the name is a dead giveaway. You see two tops forming on a chart, and what usually happens—although not all the time—is that when that first top forms, it will be the prevailing trend’s highest point. Chances are you’re not going to think anything is out of the ordinary. It’s just part of the normal trend. After that peak, you could see a price pullback—again, nothing unusual. You typically won't see an increase in volume during the pullback. It looks like nothing more than a regular pullback. After the pullback, you can expect to see prices move back up as far as the previous high (or the first top of the double top). Here’s where you look at the price to see if there’re any signs of resistance at that first top. You may have to exercise some patience, because it could take a few months before a double top can be confirmed. The pattern can only be confirmed if prices decline from this second top with increased volume. When you see prices fall with higher volume and quickly, that should alert you that something isn’t right. The next point to watch is that low between the two peaks. Will price break this support, and do so with increased volume? If it does, you could expect price to fall as much as the distance between the support level and the peak of the double top. This may sound pretty clear-cut (and in reality, of course, things are rarely so clear), but it gets you thinking that there may be some kind of a shift between supply and demand, which should put you on alert. Take a look at the chart of the double top in Figure 1. The first top formed at around 3737. Prices then pulled back to around 3625 and then went back up to 3717, which is not as high as the first top. If you draw a line connecting that pullback point to a previous low, you’ll get what’s called a “neckline.” This gives you some idea as to how low prices could get if, after that second top, prices go down and break below that neckline. In this case, the distance between the first top and pullback is about 112 points. This suggests that when prices break below the neckline, you could potentially expect prices to drop by about 112 points below that break point. FIGURE 1: DOUBLE TOP UP AHEAD? Could be, given that the second top didn’t quite reach as high as the first top after the pullback and prices look like they may be breaking below the neckline. Source: TD Ameritrade. For illustrative purposes only. You can see from the chart that price did break below the neckline at around the 3620 level. From a theoretical point of view, that could mean that prices should decline to around 3508. Let’s see what happened (Figure 2). Price did fall steeply after it broke below the neckline, but didn’t quite reach 3508. In fact, it went back up above the neckline but didn’t make it to the second top. 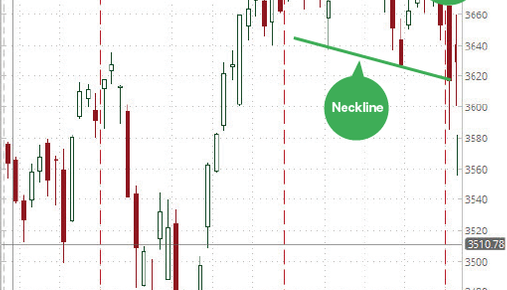 Instead, it did a quick turnaround and again broke below the neckline. This time, the decline was drastic. FIGURE 2: AFTER THE STORM. Things seemed to follow the theoretical definition of a double top. 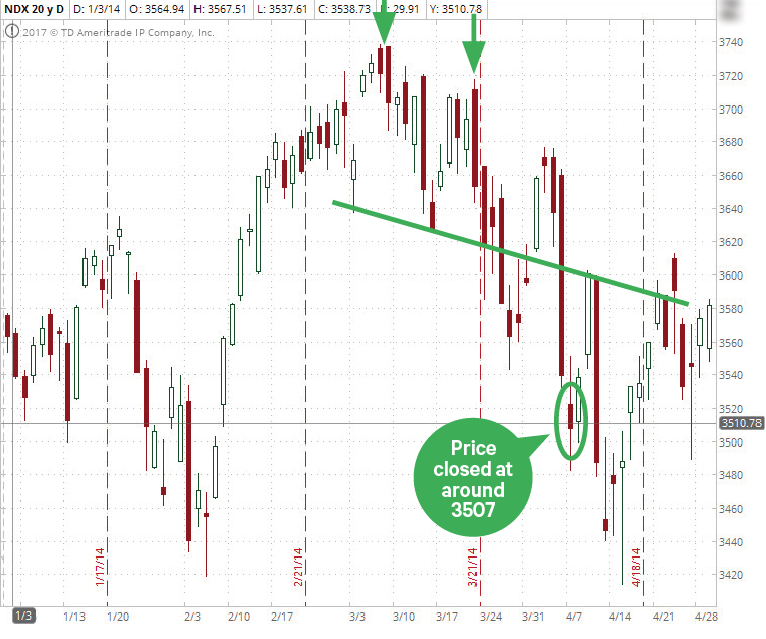 After the pullback, prices dropped to around where they should have. Recognizing the pattern ahead of time could have helped to make entry and exit decisions. Source: TD Ameritrade. For illustrative purposes only. Here’s what’s interesting—the price bar after the long breakout bar went as low as 3482 but closed for the day at 3507. How’s that for coincidence? Another point to note here is the neckline. Notice how it first acts as a support level, and once prices break below it, that neckline becomes a resistance level. These are the types of things any trader could pick up from looking at charts—without becoming a chart pattern nerd. You’ve got the tools, so why not use them to alert you to possible stormy weather, even if it’s for the short term?